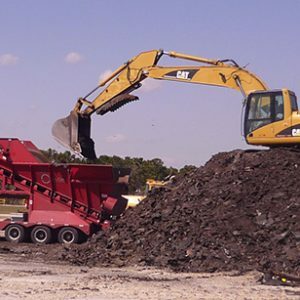 When it comes to recycling/repurposing asphalt roof shingles and production scraps, the roofing and asphalt industries have put their money where their mouths are by finding ways to use these materials in several asphalt-related applications. The process of recycling asphalt shingles is quite simple. It occurs during the roof replacement process. When the old shingles come off, contractors store them in a separate bin that can be hauled to the recycler, rather than to landfills. The good news: “Shingle recycling is available in most major markets in the United States and in some locations in Canada, and new sites continue to open,” according to the Asphalt Roofing Manufacturers Association (ARMA). Asphalt shingles aren’t the only roof coverings capable of being recycled. PVC roofing membranes can also be reprocessed and reused after removal. There are many ways that RAS can be used. ShingleRecycling.org notes that RAS can also be used in the manufacture of new shingles; using up to 20 percent RAS in new shingles without affecting their quality. RAS can also be burned as fuel. This is a practice that is extensively employed in Europe, but not as widely in the U.S.
Not surprisingly, the major use of RAS is in asphalt pavement applications, where the RAS particles are heated and then mixed with virgin asphalt for road-building and repair. RAS is also a popular ingredient in cold patch. That is the pothole and crack filler that can be applied directly to damaged asphalt pavement without being preheated. RAS can also improve the surfaces and durability of gravel roads. When ground and then added to gravel, RAS helps to minimize gravel road dust and road noise. In the same vein, RAS works well as a stand-alone base for temporary roads and driveways. When mixed with recycled asphalt pavement (RAP) and concrete, RAS can serve as a sub-base for construction roads.